Cape Town - Bulls coach Pote Human has challenged his side to show hunger in Saturday's Super Rugby clash against the Sharks in Durban. 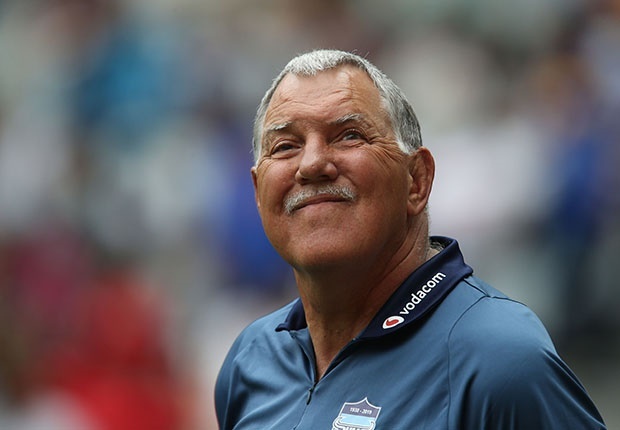 The Bulls had started off their 2019 Super Rugby season with impressive wins against the Stormers, Sharks and Lions, but this past weekend they were hammered 56-20 at home to New Zealand's Chiefs to come crashing back down to earth. It was a tough pill for Bulls fans to swallow given how good their side had looked in previous weeks. Instead of panicking in his team selection, however, Human named just two changes to his side for the clash against the Sharks. "We know they are good players. We had three good weeks against South African players. This week they must show what they can do and that they are still hungry to play for the Bulls," the coach told media in Pretoria on Wednesday. "They know what we can bring and we know what to expect too. They have a number of Springboks in their pack and it's going to be a battle. "We all know what happened last week, but we've put it behind us now. "I'm really excited for this game and the players are all excited to go and show what they can do. We all know that we are better than what we produced last week."